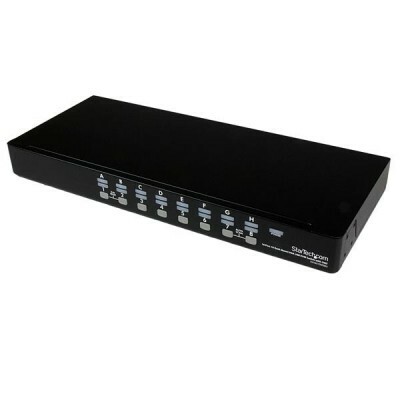 The SV1631DUSBU 16 Port 1U Rack Mountable USB KVM Switch with OSD lets you control 16 USB computers from a single console (USB keyboard, USB mouse, VGA monitor). Designed to ensure maximum space efficiency, the USB KVM switch features a slim 1U design that fits neatly into a server equipment rack/cabinet with the included brackets, and can be cascaded with multiple KVM switches to deliver control of up to 136 computers from this single switch. Rear cable connections help to eliminate cable tangles and minimize workspace disruption.